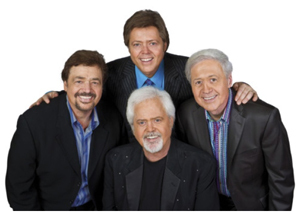 For over five decades The Osmonds have been entertaining sold out crowds throughout the world and 2012 marks the year of their biggest ever UK Tour! Coming to Sheffield City Hall on Friday 6 April, the infamous Osmond Brothers will present Up Close and Personal show, for their Final UK Tour. The tour will take fans on a journey through their many unforgettable hits - from classics such as “One Bad Apple”, “Down By The Lazy River”, “Let Me In” and “Love Me For A Reason” to “Crazy Horses” and “Long Haired Lover From Liverpool” – the 1972 Number One from Jimmy, who has more recently appeared in London’s West End in Grease and Chicago. Looking ahead to the tour, Jimmy Osmond said “We truly want this tour to be a great big thank you to all our fans for their love and support through the years. We’ve performed in the UK many times, but this final tour will take us all around the UK and allow us to get up close and personal with all our fans – we can’t wait!”. The Osmonds are unique in their success as a band and as solo performers. They have recorded over 200 albums, selling over 100 million copies with 59 gold and platinum recordings. They have sold out venues worldwide, breaking box office records and received countless awards. Most notably in 2003 when they were honoured by the industry, receiving a star on the Hollywood Walk of Fame. Don’t miss the chance to see these veterans of popular music one last, final time.